News coverage can be overwhelming. It seems like every minute there’s a breaking news story that deserves your attention. Keeping up with everything and staying informed is a challenge, especially on top of all the demands of college life. Luckily, we've compiled the biggest local, national and international stories here to make things a bit easier. Pfc. Ethan Barclay-Weberpal, 18, was stabbed to death on Jan. 16 while stationed at Camp Pendleton. On Jan. 26, his body arrived at General Mitchell Airport. A moving procession followed, with Rock County police officers escorting the body back to his hometown, Janesville, where the funeral will take place. Hundreds of onlookers gathered along the route to honor Barclay-Weberpal and his commitment to serving his country. Congress was unable to pass a budget bill by Jan. 20 to keep the government running. The government shut down and ceased all nonessential functions as a result. While the Congress proposed a temporary funding bill, also known as an appropriations bill, Democrats in the Senate blocked it prompted by President Trump's reversal on an immigration deal. President Trump had originally agreed to protect undocumented immigrants brought into the nation as children from deportation, also known as DACA participants, but the administration cut the program in late 2017. After promising an open negotiation on a new DACA program, the government was able to come to a bipartisan agreement to fund the government for another three weeks, three days after it initially shut down. 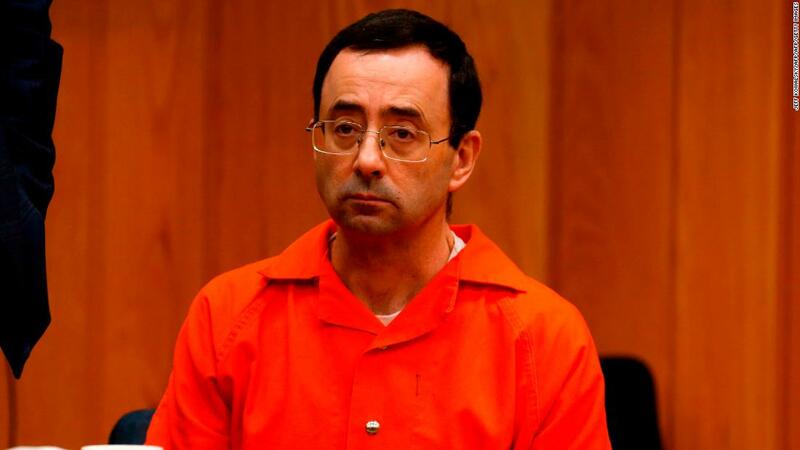 Former Michigan State and USA Gymnastics sports physician Larry Nassar was sentenced to 175 years in prison on sexual abuse charges. Nassar abused women for decades under the guise of medical treatment. More than 150 women came forward and testified to Nassar's despicable acts. The earliest report filed against him dates back to 1997. However, accusations were not taken seriously until recently due to the gymnastics culture, his credentials as a doctor and the age of his victims. The victims who have come forward include high profile Olympic athletes like Simone Biles and Aly Raisman, as well as scores of other women who have trained for the Olympics or participated in the Michigan State athletic department. News came out last week that Trump tried to fire special counsel Robert Mueller, who was tasked with investigating Trump's ties to Russia in the 2016 presidential election. Mueller has been investigating the Trump administration for quite some time. Two indictments have already come of the investigation, and Trump’s former campaign chairman, Paul Manafort, and foreign policy adviser George Papadopoulos, are now both facing charges. Trump allegedly didn't follow through with plans to fire Mueller because a high ranking member of the White House threatened to step down if Mueller was fired. If Trump were to get rid of Mueller early in the investigation, it may be considered as an obstruction of justice — a criminal offense. Stars flooded the Grammy red carpet on Sunday night, and many were seen wearing or holding white roses. These white roses were symbolic representations of the #TimesUp initiative, a movement started by some of the nation’s biggest stars to combat sexual assault in the entertainment industries. However, many are seeing a discrepancy between the sexes in the award show. While stars have been quick to show support for the movement, female artists are hugely underrepresented at the Grammys. #TimesUp is still in its early stages, but clearly, it needs more action action to make real changes. However, as with anything, the first step in the process is starting the conversation. While there are hundreds of important news stories every week, these five have major implications and connections to our lives. It might seem like a small thing, but even just reading a couple news articles a week can make a huge difference in your knowledge about current events. It's so important for us all, as citizens, to watch the news and hold the government accountable for what it's doing.